It’s important to have a diverse project team with different skill sets. 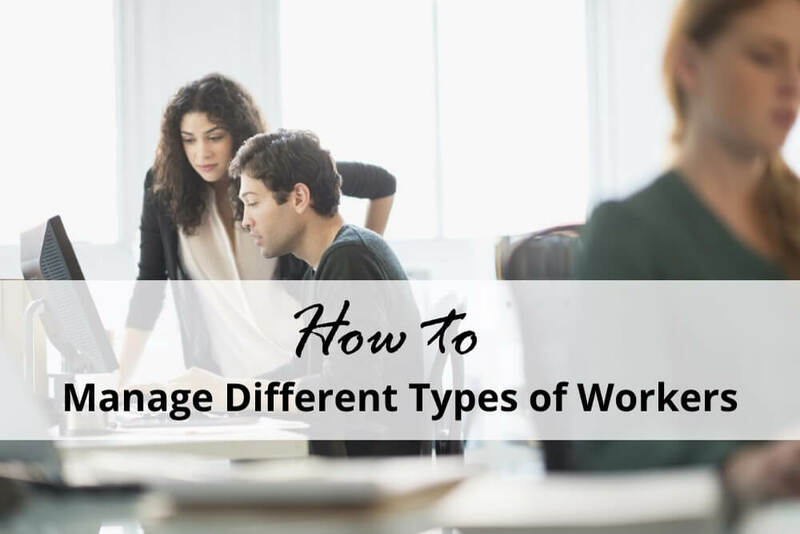 This also means that project managers have to deal with different types of workers who have different working styles. Perfectionists have very high standards towards their own and others’ work. This means that whatever work they hand in, you can expect it to be perfect. Perfectionists are extremely detail-oriented, and their work undergoes several rounds of reviews before they're satisfied with it. The downside of perfectionism is that while it produces great end results, it can also interfere with meeting milestones and deadlines. Perfectionists often focus too much on the details instead of looking at the big picture. The worst thing a project manager can do is to criticize the perfectionist. Perfectionists are their own worst critics, so additional criticism will only make things worse. What you should do instead, is to continuously communicate to them that it’s OK if they hand in work that is not absolutely error-free, and that it’s more important to complete the project on schedule. It’s interesting that many procrastinators are actually perfectionists. If they think that they can’t do a task well, they will put off the task until the last minute. That doesn’t mean that procrastinators hand in mediocre work. A lot procrastinators work extremely efficiently under pressure. Sometimes they need time pressure to be able to work efficiently. Procrastinators will find the best way to finish the work, and deliver great results. However, procrastinators do not always manage to complete all of their tasks. What project managers can do to make sure that procrastinators finish their work on time is to give them several small deadlines to finish certain tasks. Another effective method is to schedule review meetings in which they have to present their interim goals. Efficient team members always hand in their work on time and you can be sure that their work will be satisfactory. Whatever task you assign to them, the efficient worker will accept the assignment and do the work as quickly as possible. The downside of this type of worker is that while they work extremely efficiently, this efficiency can lead them to develop a rigid routine. This routine can hamper their creative potential as they’re too focused on finishing their work as efficiently as possible. Project managers can facilitate creativity in efficient workers by giving them tasks outside of their comfort zone. There should be no fixed requirements or deadlines for these tasks, keep it as abstract as possible so that the team members will have to come up with their own solutions. The Go-Getter is someone who is always willing to pick up the slack when the team is under time pressure or when there’s a resource shortage. You probably don’t even have to ask the Go-Getter to pitch in, they will offer their assistance themselves. Go-Getters are very valuable as you know that you can rely on them to pitch in whenever the project is at risk. However, while it’s really great that the Go-Getter is always helping out wherever they’re needed, this can have a negative impact on their own workload. They are too focused on helping others that they don’t have enough time to finish their tasks on schedule. The project manager should always keep an eye out on their team’s workload and capacities. They can do so by directly asking the individual team members, but they might not give you a straightforward answer or feel compelled to play down their actual workload and accept additional work. 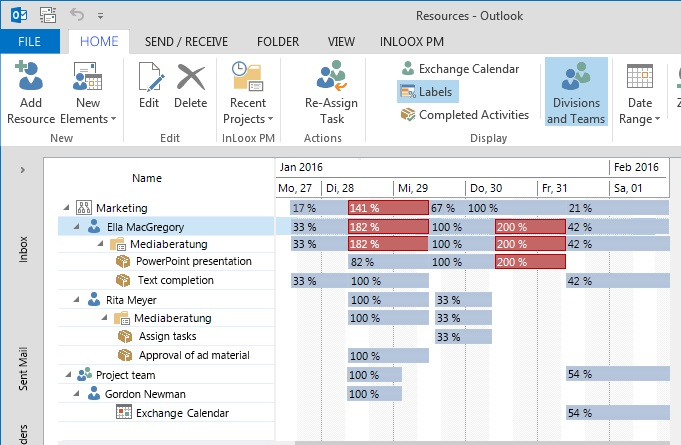 The better method is to make use of a software tool that helps you see the exact workload of your team. Optimistic Motivators are the cheerleaders of the team. Whenever the team might seem to be in a slump or the project is at risk of not meeting a deadline or overrunning the budget, Motivators will encourage the team to continue. They make sure that the team’s energy levels stay high and that everyone is doing their best. This type of worker always has an optimistic outlook on any situation. The other side of the coin is that Motivators might lose sight of reality. They believe that things will work out eventually. The risk here is that they’re not preparing adequately for unforeseen events or underestimate risks. It’s important to believe that the project will be a success, but it’s also important to be realistic and have contingency plans in place, or if everything fails, to pull the plug on the project. Project managers should not curb an Optimistic Motivator’s enthusiasm, but they can support them by showing them measurable metrics and facts. This will give them a real idea of the current status of the project and where it’s headed. Just with the Procrastinator, it’s also advisable to communicate to the Optimistic Motivator that failure is not bad, but that you can still extract something positive from it, such as discovering a completely new color. How to Manage Different Types of Workers in an Organization - InLoox • Copyright 1999-2019 © InLoox, Inc. All rights reserved.